Greenwich Concours hosts largest field of Briggs Cunningham’s cars ever assembled. The 2018 Greenwich Concours d’Elegance will see history being made next weekend, as 33 of the 35 existing Cunningham race and street cars will be on display both days of the event. It will be the largest field of these historic vehicles ever assembled. In all, 36 cars were built – 8 racecars and 28 street cars, created in the 1950s by the iconic Briggs Cunningham. The Concours celebrates its 23rd year on June 1-3 at the Roger Sherman Baldwin Park overlooking the Greenwich, CT., harbor on Long Island Sound, and is recognized as one of the most prestigious classic car shows in the country. Included in the 33 Cunninghams are all 25 of the C-3 street models whose bodies were created by custom coachbuilder Vignale in Torino, Italy. And, 31 of the 33 feature the famous Chrysler FirePower first-series Hemi V8 engine, in various states of tune, including one with a McCullough supercharger installed by Bill Frick in 1956. Another outstanding entry is comedian Jay Leno’s ‘53 C-3, above, which was the basis of a dedicated episode of his TV show Jay Leno’s Garage. Also, Lot #224, a C-3 coupe, will be featured on Sunday at the Bonhams auction. Museums from around the country are lending their Cunningham cars for display. The Revs Institute of Naples, FL, will send five of its six Cunninghams (‘51 C-1 Prototype, ‘52 C-4R, ‘52 C-3, ‘53 C-5R, ‘55 C-6R). 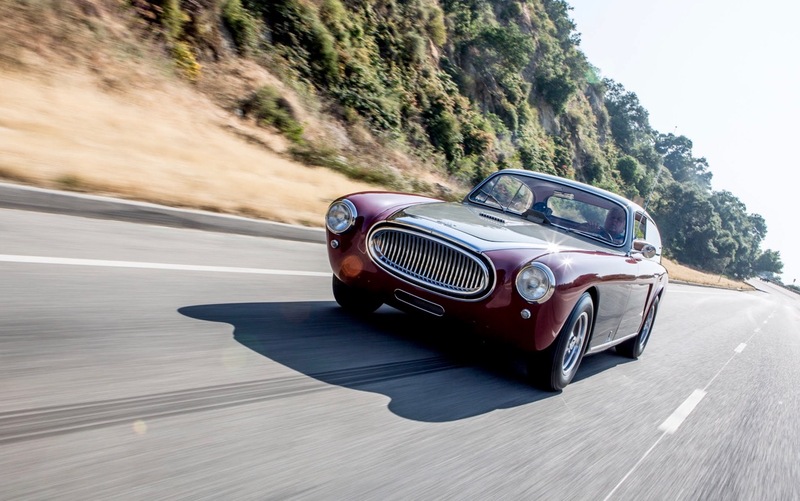 The Simeone Foundation Automotive Museum in Philadelphia, PA, will share its ‘52 C-4R. Gateway Canyons Automobile Museum of Gateway, CO, will show its ‘53 C-3, and from the Elliott Museum of Stuart, FL, comes a ‘53 C-3 Continental Cabriolet. Concours visitors will have a chance to chat about Briggs Cunningham, his life and his cars, with car owners, historians, authors, racecar drivers, racecar builders, and descendants of the Cunningham family. “A comprehensive turnout of Cunningham cars on this scale has never happened before and likely never will again, at least any time soon. It took Tom and me 10 years to personally inspect all 33 cars,” added Schoendorf. Cunningham, who died in 2003 at the age of 96, is best known as an America’s Cup skipper, racecar builder and driver and team owner. He made the Greens Farms section of Westport, CT, his home from the 1920s through the 1960s. He fielded his early racecars for Sam and Cowles “Miles” Collier out of his carriage house, and later kept his car collection there before moving it out of state. The Cunningham family remained at the Greens Farms compound until the death of his daughter Lucie Cunningham McKinney in 2014. Completing the Cunningham experience at the Concours will be the opportunity to sail on the 62-foot Columbia, the first 12-meter class yacht, with Briggs Cunningham at the helm, to win the America’s Cup. 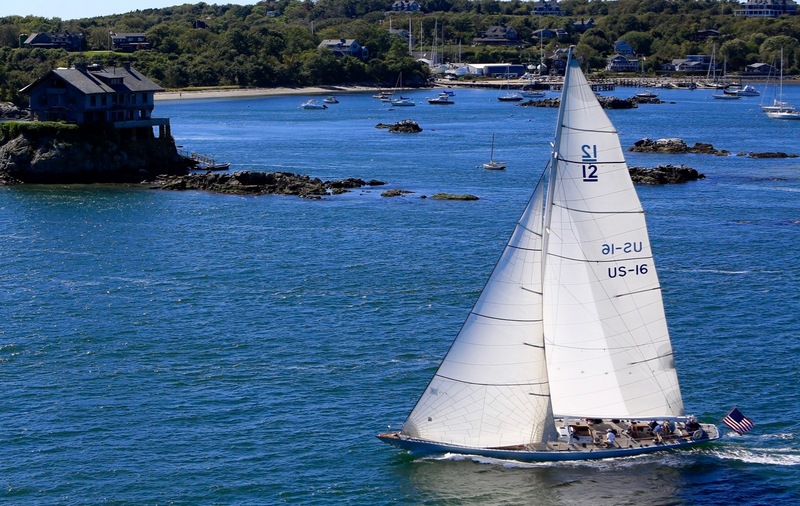 It continues to be one of the most significant vessels in yacht racing history. Columbia will be docked at the Delamar Hotel for the weekend, with chartered rides available at $300 per person. Bookings may be made at ColumbiaYachtCharters@gmail.com or by calling 401-871-1010. A private sailing charter of Columbia, for up to 11 people, will be offered in the on-site Silent Auction to benefit Americares. The beneficiary of the Greenwich Concours for the 23rd year is Americares, a health-focused relief and development organization that responds to people affected by poverty or disaster with life-changing health programs, medicine and medical supplies. The Stamford, CT-based organization is the world’s leading nonprofit provider of donated medicine and medical supplies.